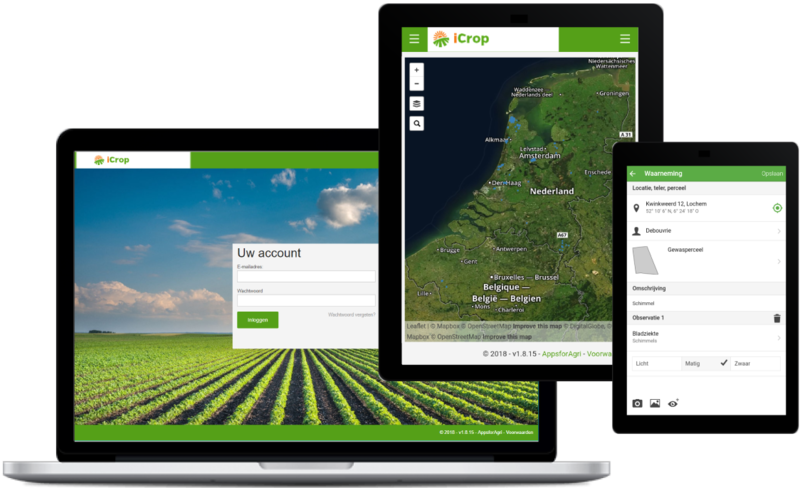 iCrop is the interactive software solution for agribusiness organisations that want to take a leap forward of communication, information and sharing data. iCrop offers a unique online platform which is uniquely implemented per organisation. Digital advice leads to a better relationships, fewer errors and higher yields. 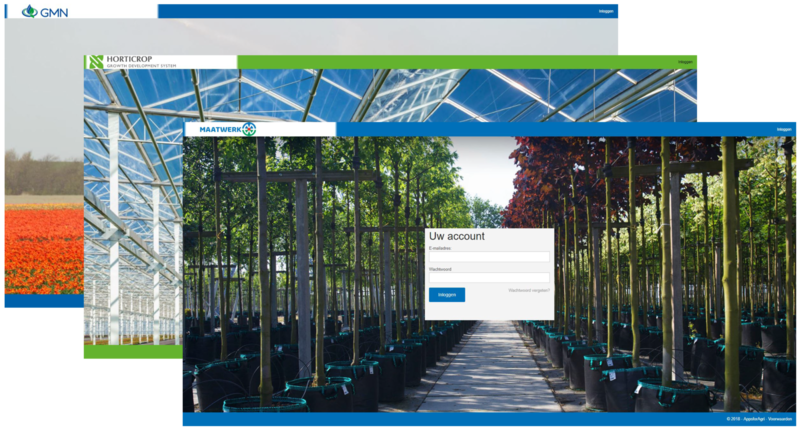 An affordable solution which brings crop advisor and grower closer together. iCrop is suitable for advisory organisations, growers and buyers. We implement iCrop uniquely for your organization, where your wishes are central. Growing registration and advice is easier with iCrop. With a clear overview of all your advice and crop data you improve the work. Registration is the key to precision farming! Does your already use iCrop? With iCrop you can collect and share crop information. By collecting crop information, the crop can be analyzed and you can optimize your advice! With iCrop you and your grower always meet the legal requirements of the government, customers or other parties. Save time as a advisor with iCrop. Digital advice leads to higher accuracy and fewer errors. With the advisory modules, which are set up according to your requirements, you can optimally support your customers. With iCrop, digital advice becomes simple and communication is improved. You and your grower always have an immediate insight into your advice.